Deep down, you know the results you want. You know the experience you are looking for during your move. For a lot of people, the very thought of moving creates instant stress. What would be the value to me if I had complete peace of mind about my moving company? Our ultimate goals are to provide answers to your questions, help you avoid costly mistakes, reduce stress, and give you peace of mind. 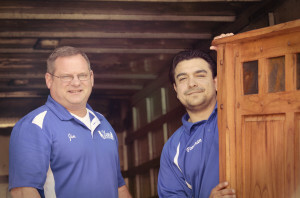 We want to be your go-to team when you need help to move one item, a whole house, or an entire company. Our goal is to create satisfied, repeat customers through each positive moving, packing, or loading experience. We understand you desire to find a mover you can trust in your home or office with your most valuable people and possessions.You require the people you hire to treat those you most care about with respect. You need an expert to know how to best pack your items to ensure your belongings arrive safely. Clients call us repeatedly throughout their lives, because they know from experience they will be treated professionally, their belongings will be packed carefully, and their items will arrive safely. They also enjoy our good-natured sense of humor and how quickly our teams work. What is it like to work with Mastery Moving? It is important to us to establish a certain level of trust when you first meet the team who are personally involved in your move. When our team arrives, we will each look you in the eye, shake your hand, and introduce ourselves by name. Most first-time clients are surprised by how quickly and efficiently we work to complete a project, yet be assured: we do not cut corners. We never compromise safety or the correct way to execute a task for the sake of speed. What is the Mastery Moving Process? When you first contact us by phone or email, we will schedule a time for one of the owners, Jim or Tish Barnes, to come and complete a personal estimate. 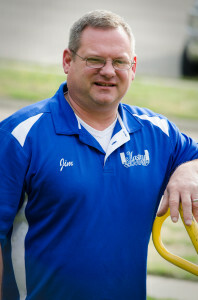 Jim or Tish will come to your home or office in order to give you the most accurate estimate possible. We generally do not give estimates over the phone because vital information can too easily be missed. You deserve the smoothest move possible and that starts with taking the proper steps up-front. Once the walk-through is complete, your personal estimate will be delivered to you via eMail. Once you accept the terms and conditions and send your confirmation email, Mastery Moving staff will call you to book time for all of the specific services you need. On the day of your move you will be introduced to the foreman in charge of your project. We will complete a final walk-through inspection of your present location with you. Our preparations include accounting for all fragile or other special items, clearly marking anything which you intend to have stay behind, and properly dismantling your washer and dryer. Don’t fret: we will also re-assemble your appliances and set them back up at your new location. Your personal presence can be optional. Many of our clients, particularly our repeat customers, prefer to be out and about completing other important tasks. We save our clients time when they delegate the tasks they have hired us to complete. We also have clients who live outside of Kansas. They need us to move a loved one who is located locally as they are unable to come and take care of their loved one personally. We make special arrangements to keep clients updated each step of the way. This provides you with peace of mind during your loved one’s move. Unless you plan to have us pack for you, you should be packed and ready to go before we arrive. A common mistake: to assume you have time to finish packing during your appointment time. Not so! Our teams work very well together and they do indeed know how to hustle. Your partnership on this point is a key aspect of your move experience. Help us help you and be ready for us to move you quickly… or have us pack for you and be guaranteed to stay on schedule! ©Copyright - 2015 Mastery Moving, Inc.